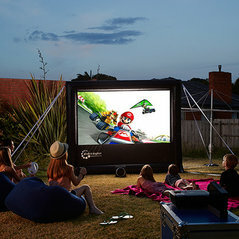 Commented: Home Cinema, is it OTT?If there's not enough rooms for home cinema, have a backyard home cinema instead! Commented: Media rooms - in or out?I like the idea of using the media room as a library. Now if the doors of this room open to the backyard, the movie screen could be moved there (for summer entertainment). Commented: Yay or Nay? 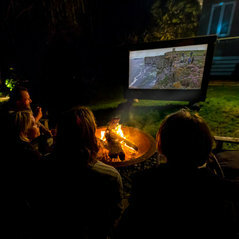 TVs in a backyard retreatto Blueprint Images - can not agree more! Even better - if you have a really big screen - you can invite more firiends!